Oh man, according to this funny little gizmo over at Time.com I would’ve been named Langston if I was born today, and Butler if I was born in 1910. 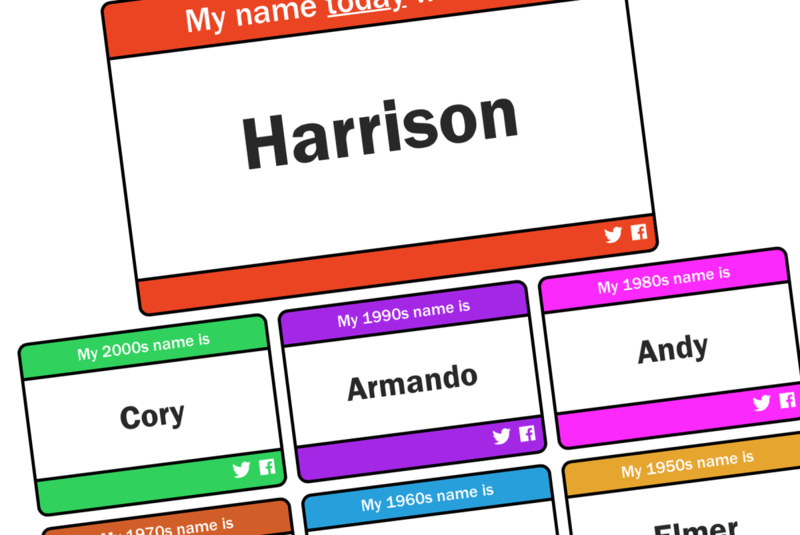 Our own Amanda would have been called Isabella and Martin would be Harrison. Try it yourself and do let us know what your name would have been in the comments.